Today’s partnering capability encompasses much more than traditional channels or licensing agreements. To be successful, partners must be integrated into all aspects of strategy, operations, and execution. Companies must be able to collaborate effectively internally as well as externally. That requires certain structure, skills and behaviors, governance and measurement. Most companies aren’t ready for this degree of extreme collaboration and partnering. Executives realize they must transform—and in a hurry. "What distinguishes companies that have built advanced digital capabilities? The ability to collaborate. 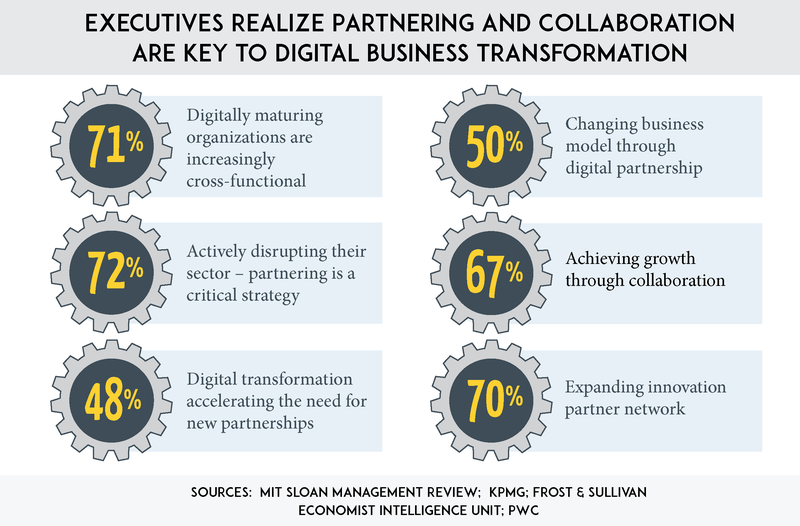 MIT Sloan Management Review’s research finds that a focus on collaboration—both within organizations and with external partners and stakeholders—is central to how digitally advanced companies create business value and establish competitive advantage." 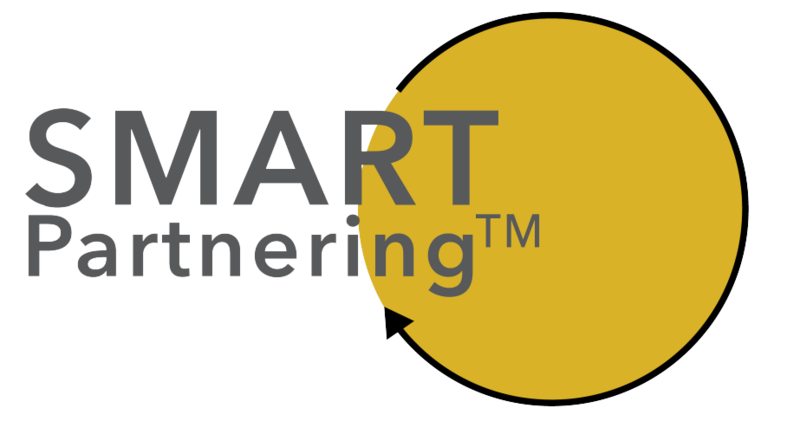 Together with our strategic partner, Alliancesphere a professional services firm with expertise in collaborative execution, we’ve created SMART Partnering™—an end-to-end methodology for integrating collaboration and partnering throughout an enterprise. Without this next-generation capability, companies will not realize the value of digital business transformation and be full participants in the ecosystem economy.
" 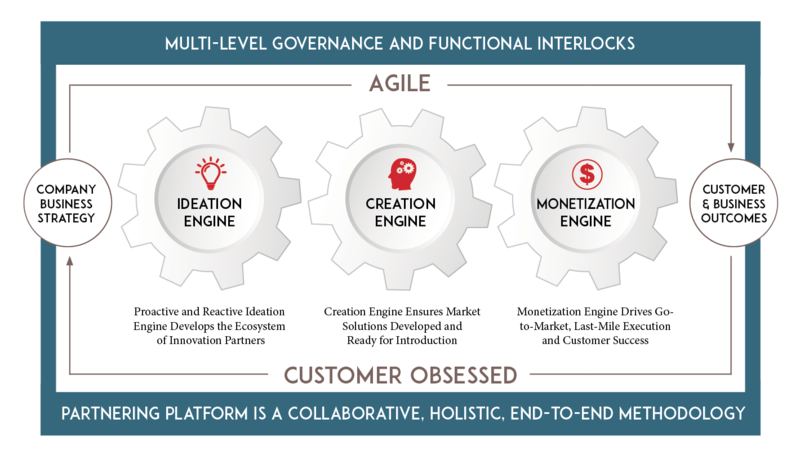 I found the methodology very valuable and the structure quite elegant—in the sense that it takes some of the complexities out,to focus on the go-to-market and execution towards monetization." "Your team has been instrumental in helping frame the context and strategic intent of ‘what partnering really means to our business.’ We now have our leadership aligned, a shared operating model across the organization, and the tactical roadmap with a line of sight to clear milestones and concrete measures for success." "Thank you all once again for your invaluable support and collaboration with the workshop. The feedback was overwhelmingly positive…that [the workshop] was an incredibly important and positive first step."